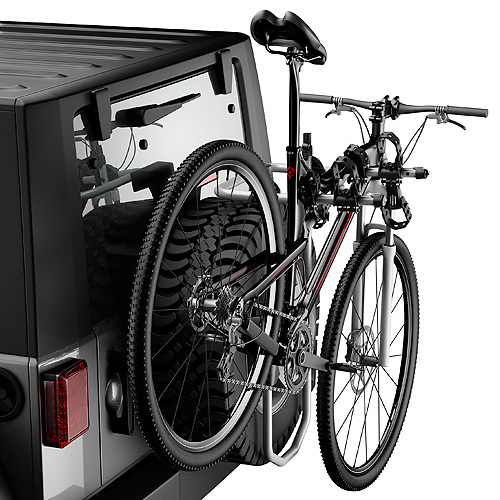 Thule's Spare Tire Mounted Bike Racks and Bicycle Carriers are among the most practical, economical, and convenient to use bike racks on the market. 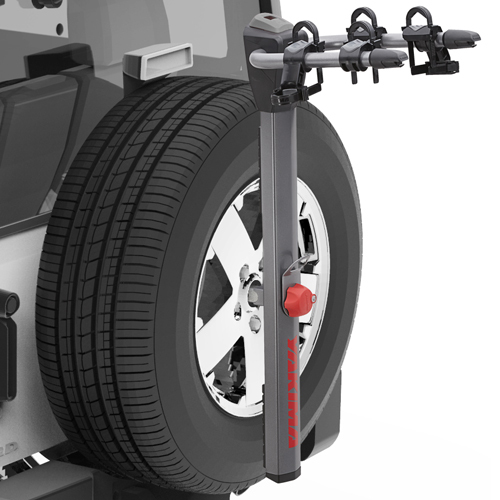 If you have a rear mounted spare tire, the Thule Spare Me Pro 2 Bike Rack will fit your vehicle. When not in use, the arms of the Spare Me Pro will fold down and out of the way. The Thule Tram Ski and Snowboard Carrier attaches to the Spare Me and carries up to 4 snowboards, 6 pairs of skis or a combination. 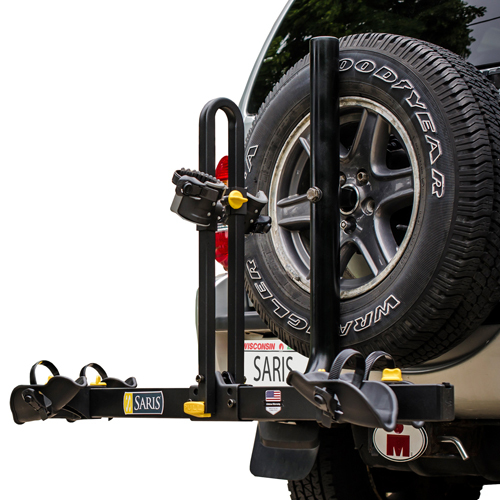 I you have a trailer hitch receiver, you should also consider a Thule Trailer Hitch Mounted Bicycle Rack.